A beautifully updated family home in the heart of Gardnerville awaits! 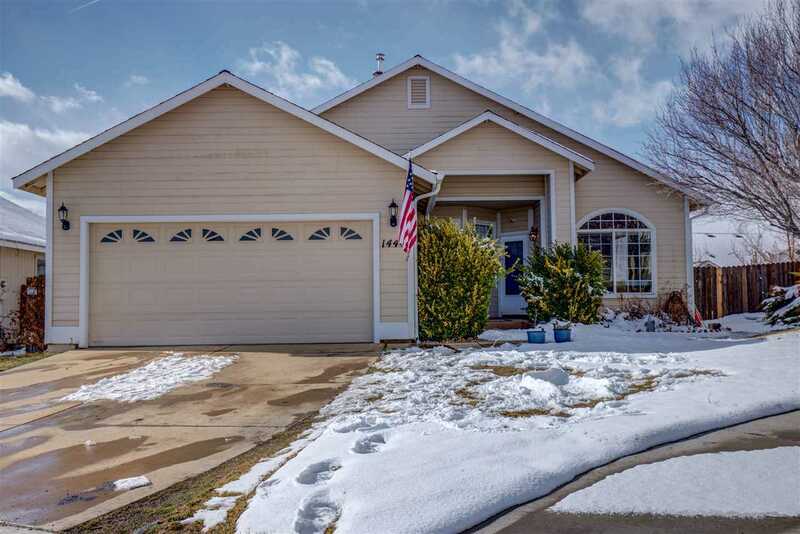 3 bedrooms plus an office, gorgeous mountain views from the kitchen and back yard, new engineered wood floors, new stainless appliance suite, and much more! Bring the whole family to see this one! Situated on a cul-de-sac in one of the areas most desired neighborhoods, this one is at the top of your must-see list. A fully fenced back yard offers a place to relax, play, entertain, or try your hand at gardening. There's room for all of it! SchoolsClick map icons below to view information for schools near 1444 N Marion Russell Gardnerville, NV 89410.